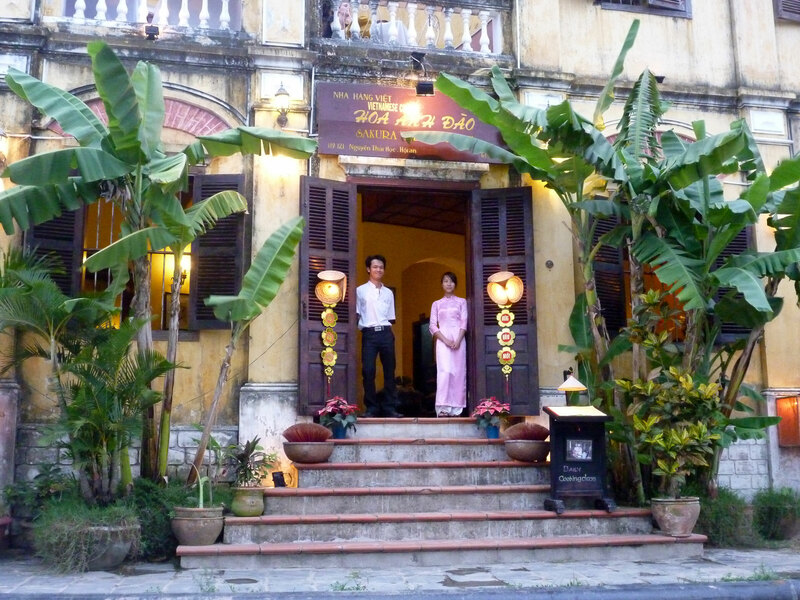 Looking for a place to relax a few days in between visiting Vietnam’s two biggest cities, Saigon and Hanoi, Hoi An ended up being just the ideal country town retreat I was looking for. 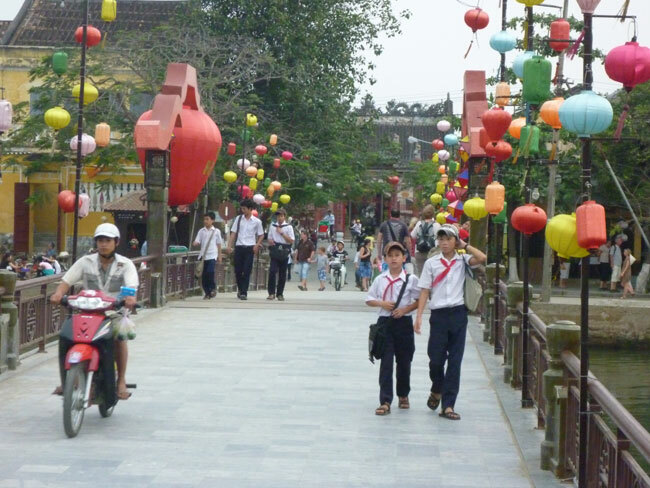 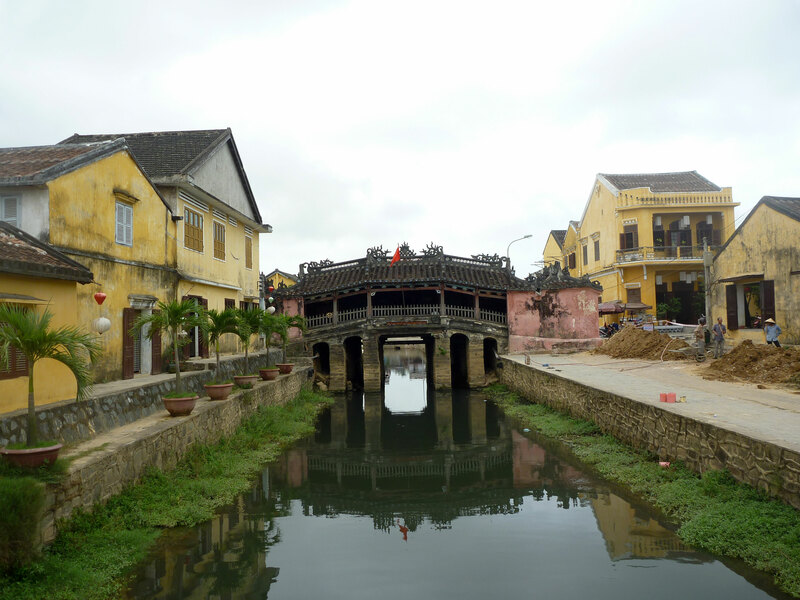 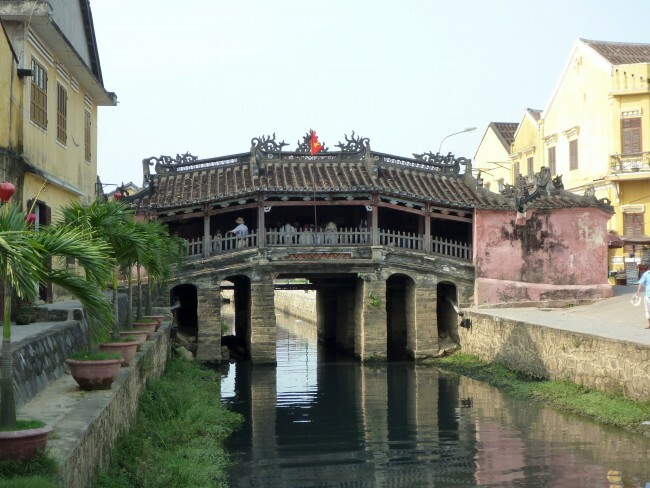 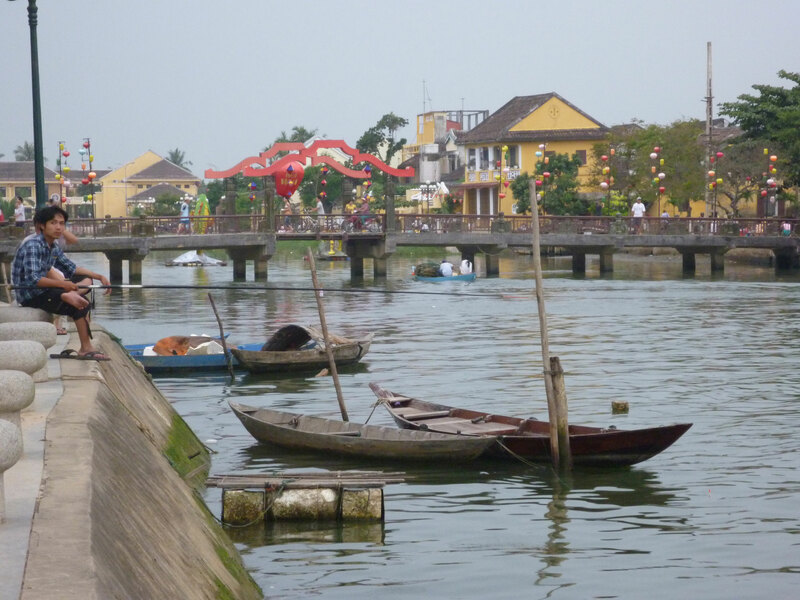 One of the few Vietnamese cities to have largely escaped the ravages of wars, Hoi an is a remarkably well preserved example of what a Southeast Asian trading port dating from the Fifteenth to the Nineteenth Century looked like. While all serious shipping business has long been transferred to Da Nang, the silence that now prevails in the city is not the least of the charms. 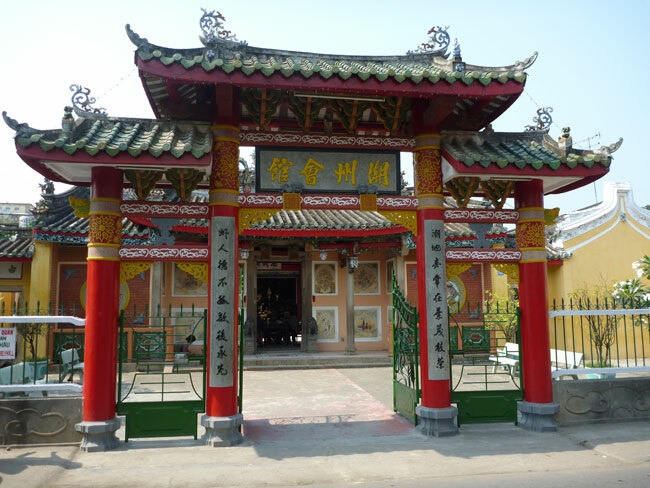 Throughout the town, numerous congregation halls (picture below) can be visited. 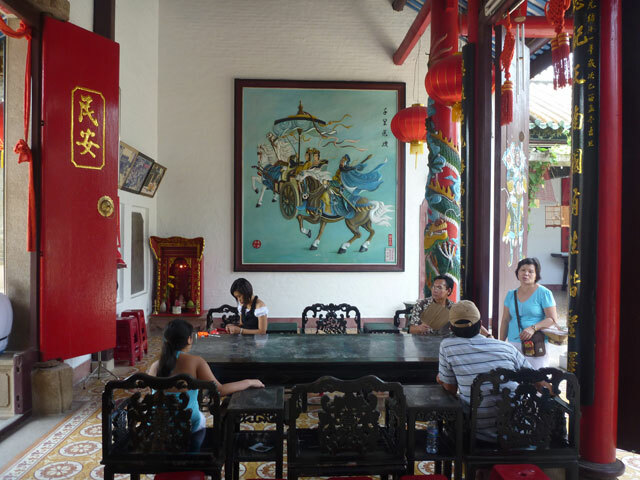 For centuries this is where the large Chinese expats community has been gathering to socialize and hold meetings. Each of them is named after the home region of their members, such as Hokien, Cantonese, Fujian etc. 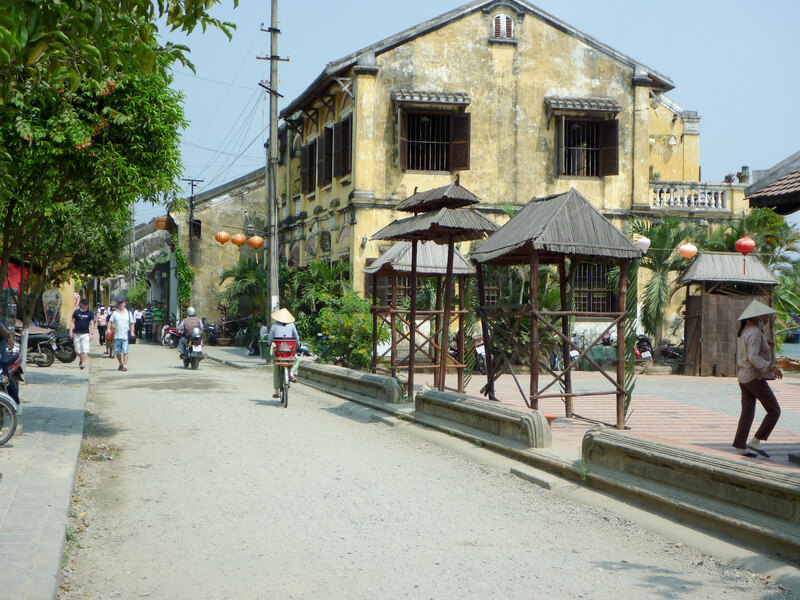 At it’s core, the Old Town, whose streets are too narrow for the passage of modern vehicles were a much welcomed change from the rush hour traffic in Ho Chi Minh City.. Most of the buildings that have been restored or maintained close to their original form include assembly halls, private houses, bridges, family chapels, communal houses, temples and pagodas. And wandering through Hoi An’s endless rows of ancient low roofed merchants houses covered in fading, pale yellow worn paint and decorated of silk lanterns makes for a very pleasant experience. While the ancient town is free to visit and wander around If you want to go a bit further and enter inside the various types of historical sites you will need to purchase a 75,000 VND or 5$ ticket. 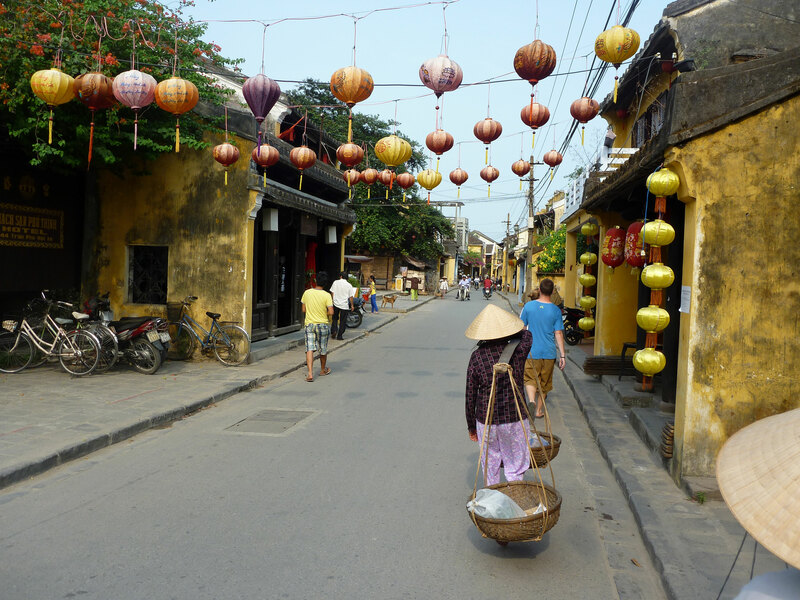 Hoi An is however definitely a tourist town and just about every business caters to it so expect no shortage of tailors, art boutiques, restaurants, bars, etc. 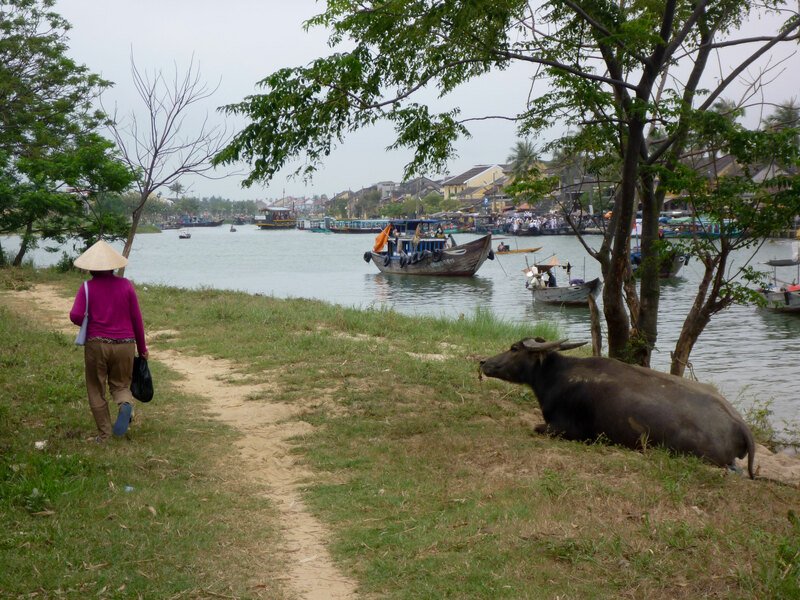 On the upside things are relaxed and touts are much less aggressive than in other town of the tourist circuit. All in all well worth the visit and if you need a little break from Hoi An there’s quite a few sights in the region you can easily visit like a trip to Marble Mountains or the My Son Sanctuary and if you need to cool down from the heat the Cua Dai Beach is only 4KM away.